Zeitgeist is "the spirit of the times" or "the spirit of the age." Zeitgeist is the general cultural, intellectual, ethical, spiritual, or political climate within a nation or even specific groups, along with the general ambiance, morals, sociocultural direction, and mood associated with an era. The term is a loanword from German Zeit – "time" and Geist – "spirit" (cognate with English "ghost"). Honestly, I'm not surprised. Rebecca Black made a big splash on the Internet with the release of her 2011 pop single “Friday.” The music video catapulted the then 13-year-old to celebrity status after the video went viral, receiving over 167 million views on YouTube. Since then she's gone on to attend many Hollywood events and even released a followup single called, My Moment. Lover her or hate her (I still think she needs singing lessons) Rebecca Black was a bonafide Zeitgeist of 2011 and only time will tell if she can do it for many years to come. And with that we've reached the end. Let me tell you, blogging everyday has been a big hassle for me, but regardless of the little time I have during the day, I wanted to challenge myself to see this thing through until the end. And I did it! 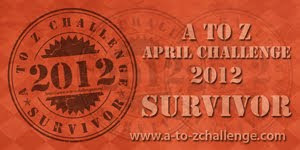 Thanks to Arlee Bird, Alex, Matthew, Damyanti, and all the other amazing hosts for running the A to Z Challenge! 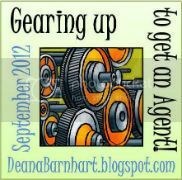 It was a wonderful blogfest to be apart of and introduced me to so many talented bloggers. I'm a little surprised Rebecca Black topped the list! I figured Casey Anthony or Steve Jobs would have been number 1! I think that this is sad. Rebecca Black topped Steve Jobs. What the hell? You're very welcome! Happy Z day! And Rebecca Black - someone I wouldn't have remembered if you hadn't mentioned it in your post - topped the list. And what does this say about the "spirit of the times"
Honestly, don't think I want the answer to that one. Rebecca Black topping the list makes me sad. I hope she's able to handle the rest of her life in relative normalcy. The challenge has been draining, but I'm glad I pushed myself to participate. Congrats on completing the A to Z challenge! Rebecca Black...I was sitting there trying to figure out who she is...I guess that makes me old. I was shocked too. It says a lot about us as people. Nothing of absolute relevance (i.e human stories of growth, development, survival or carnage) topped the list, except for Tepco. Instead, we were more interested in a little girl singing a silly little song. It's sad but I can't wait to see what topped the list this year. Good post! I'm also surprised she made #1? Congratulations on this month and making it! You did a great job! I'm not surprised she made number one. I think this is an indication for the future. Right now, younger people are roaming the web without giving it a second thought, more so than older people. And it stands to reason that someone young would top the list. I believe there is a generation right now that will come into its own within the next ten or twenty years and change the Zeitgeist completely.